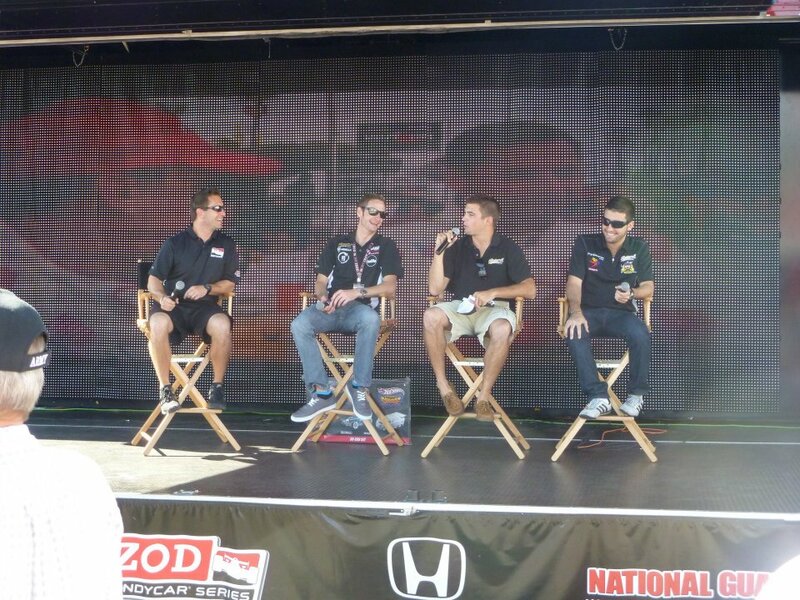 Our first Indycar Q & A is with Trevor Anthony, the Emcee of the Indycar Fan Village. 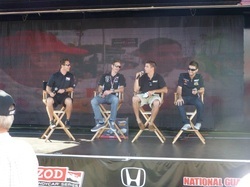 Trevor has worked with Indycar for the past two seasons and is an integral link between the series and the fans. So firstly, for those not in the know or have had the chance to attend a race these past two years, what is the ‘Indycar Fan Village’? 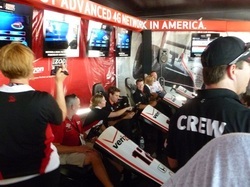 The INDYCAR Fan Village is the ultimate pre-race headquarters for every INDYCAR race. It's a large fan fest loaded with a Driver appearances, autograph sessions, a big stage, jamming tunes, a massive big screen for trackside activity viewing and crazy contests for fans. The stage also acts as an area for sponsors to run specialized activities for fans which include Fuzzy's "Putting for a Hot Lap" Putting contest and Team Barracudas BHA Tweet Up with Alex Tagliani. Additionally, incredible sponsors such as Verizon, Honda, National Guard, Lids, Discover Card, Mazda and Fuzzy's Ultra Premium Vodka give out incredible prizes such as two-seater rides, Pace Car Rides, Motorola Tablets, prize packs and much more throughout the race weekend. You visited twelve venues this year which of those was your favourite venue? This is always a tough question. But I always have to say after the Indy 500 I'm a huge fan of the street courses, St. Pete, Detroit, Toronto, Long Beach and Baltimore. The last of these, Baltimore happens to be my favourite. I absolutely love the fans show of support around Baltimore and having the cars drive through the Inner Harbour is very cool. Following on from that question, which race track has the best / craziest fans? Baltimore brings out a ton of fans but definitely not the craziest. The craziest fans would be the Carb Day fans at the Indy 500. Man, how absolutely ridiculous some of these people get, it's awesome. Plus, they're so die hard that they'll pretty much do anything for free prizes, so we can have a little more fun with them. However, with that said, the most memorable fan for me has to be the woman who ran 20 laps around Will Power's show car inside the fan village for a t-shirt. Of course, we had a fan sing the National Anthem before the woman began her laps. A big part of the Fan village experience is the Q&A sessions with drivers and series officials, who are your favourite interviewees to have had on stage? Ha, this question could probably get me in trouble but I definitely have my favourites. The great thing about INDYCAR drivers is they're all so friendly and willing to open up stage. 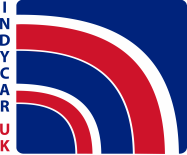 Now, to actually answer your questions, my favourites would have to be, and I hope I don't leave anyone out, Simon Pagenaud, James Hinchcliffe, JR Hildebrand, Sebastian Saavedra, Sage Karam & Zach Veach, the Firestone Indy Lights Sam Schmidt team (absolutely hilarious) and Gustavo Menezes (a dance machine). I personally didn't interview them, we let the fans ask the questions, but Robin Miller, Townsend Bell and Kevin Lee were always a great show along with Alex Tagliani, who will shoot you straight with every answer! How much of an important role does the Fan Village play in the race weekend and bringing something else to the experience for the fans? We all know the racing is what the fans come to see every race weekend but I truly believe the INDYCAR Fan Village plays an integral role in giving the fans an ultimate race weekend experience. The Fan Village enables fans to interact with the drivers in a way that has never happened before, in any sport. Not only do we hold the autograph sessions, but the fact that fans can join in and see their favourite drivers up close and personal while doing Q&As on stage makes for a very cool experience. Not only that, we often run special events with drivers in which the drivers hang with the fans in a special circumstance such as the mock dating game we held with Arie Luyendyk and Arie Jr. Plus, the fact that an average fan can be walking by, decide to enter the Fan Village and walk out with autographs, tons of free gear and a two seater ride is pretty damn cool! I've been fortunate enough to get a ton of compliments from fans about how much they appreciated the Fan Village. You are absolutely right, I loved the new additions. The BHA Tweet Up is so fantastic, not only did they bring Alex Tagliani to the Fan Village stage every weekend but they gave out amazing prizes like Bowers & Wilkins headphones. This creates a great buzz around the Fan Village but also brings significant social networking awareness to INDYCAR and the Fan Village. And in a world of social networking, I can't even explain how important these types of activities are to the Fan Village. Additionally, the Fuzzy's "Putting for a Hot Lap" Putting contests and the Social awareness they bring, man, the INDYCAR Fan Village became quite active in the Twittersphere. And finally, we have also seen the popularity of prizes such as hot laps in Pace Cars as well as the Two-Seater Indycar. As someone who has not long had a ride with Mario Andretti, can you describe it to us? Speedway in Fontana courtesy of the extremely generous Simon Pagenaud. I have to say it was truly amazing! You get into the IndyCar and you feel a rush that's unexplainable. While you're flying around the track you wonder how the heck the cars actually stay on the track. Fontana, being a 2-mile oval, I thought the car was going to crash into the wall around every turn, it was nuts. I would highly recommend every race fan or person in general to experience the rush of a two-seater ride!!! You can follow Trevor on twitter, subscribe to his YouTube channel or visit his website. Better still, get to a race and see the Indycar Fan Village in person!